The HP Networking 2910-48G al Switch (HP part number J9147A) is a managed switch that offers 48 10/100/1000 ports and four optional 10G ports. There are plenty of switches on the market to choose from and many of them come with increased complexity and cost. Not so, with the HP 2910 series. If the bells and whistles of a Cisco switch are not necessary, but Enterprise level dependability is, this switch is an excellent choice. 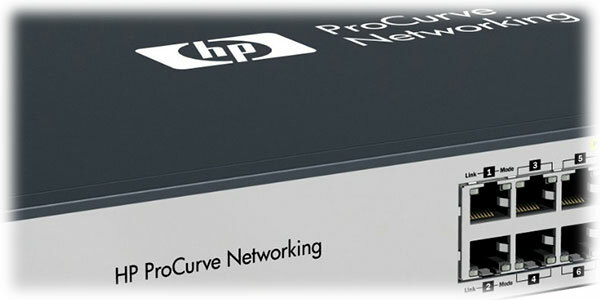 This HP switch is simple, dependable and affordable. We also like this switch for its excellent VLAN support and QOS for VoIP. - If you’re coming from Cisco gear, the commands might seem a bit odd, but they are quite simple. - While the switch offers a web interface, we found the command line to actually be easier. See the “Helpful Links” paragraph below for command line help and a GUI walk through. - Expecting multiple links between switches? Turn spanning tree on. - If port trunking on the uplinks is enabled, the switch will do a better job of spreading out the traffic load. - Additional modules in the back work great for inter-switch connections and leave the front ports free for other uses. - PoE is supplied by the internal power supply. Or live chat with us via the "Live Help" tab during business hours. We value your privacy. Your contact information won't be distributed or used for purposes other than contacting you.